Want to be a cricket scorer? If you love the game of cricket and want the chance to play an active part in the game, then a scorer’s role could be perfect for you. With the numerous laws and ways of scoring the scorer’s job is by no means easy, but if you’re up for the challenge the ECB Association of Cricket Officials can certainly help you onto the road to success. At this moment in time there are two courses, catering for the scoring novice, through to a competent cricket scorer looking to break into the game. 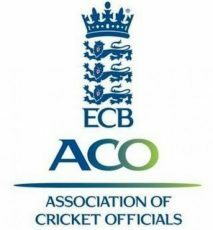 For those of you that can not attend a regular and formal training course on scoring the ECB ACO are rolling out scorers correspondence courses. This allows the benefit of learning at your own pace in a relaxed environment whilst being confident that the support of your tutor is always available. These courses will be run for scorers who wish to enhance their skills and capabilities. All correspondence courses will be led and assessed by an accredited scorer tutor. The main objective of running these informative sessions is to demonstrate to all scorers the MCC Laws of Cricket and how these laws can be applied on to a scoring record. The Correspondence Course will be made up of a series of modules which will be assessed by the accredited tutor at the end of each stage. The modules will consist of numerous narratives that will identify procedures that the scorer must adhere to when demonstrating their technique and ability on the scoring record. Additionally, questions will be provided for participants to answer based on the laws of cricket in relation to scoring. On completion of each module the scoring record and the answers to the questions will be returned to the tutors where they will then be assessed. The tutors will provide to the participant areas of strengths and weaknesses whilst highlighting ways in which progress can be made thereafter to gain valuable knowledge around scoring. The modules will consist of numerous narratives that will identify procedures that the scorer must adhere to when demonstrating their technique and ability on the scoring record. The official book that will help to provide an aid throughout the modules will be ‘Cricket Umpiring and Scoring’ by Tom Smith. (ISBN 0-297-64604-4). This book will allow references to be made to the Laws of Cricket in relation to scoring and will provide valuable support and guidance throughout the course material. The syllabus and outline of the modules involved are specified below. A course which runs over two to three hours. It covers the essential Laws that a parent, teacher, coach will need to get them started in scoring. The Laws that affect the scoring record are not necessarily covered in full detail – that is done in Level 1 – but enough information is covered to get the scorer started. Umpires signals from experience, questions relating to other laws and incidents will crop up and can be dealt with as necessary. The main thing is to get the scorers interested and keen to participate. Level 1 is intended to demonstrate the fundamental information needed for any scorer to progress. The two key objectives that all students will need are to have a comprehensive understanding of the Laws of Cricket and interpret how these laws affect the scoring record entries. The method of using a simple box-type scoring record whilst ensuring that all runs recorded can be balanced. Tom Smith’s Cricket Umpiring and Scoring, Part 3 Pg 288. The role that the scorer plays within the match and the essential duties and equipment that are necessary for any scorer to fulfil this role. All signals that are used by the umpire throughout the match and the consequential actions that are required from the scorer in response to these signals. The scoring system in terms of the runs given for different occurrences. Identifying delivery counts and knowing when the end of the over is finished. Balancing runs achieved throughout the match both on the batting section of the scoring record and on the bowling section. The disparity between the laws of cricket and specific regulations that are put into place. The basic understanding of all Laws relating to cricket, inparticular scoring and the impact and potential restrictions that could effect the entries within the scoring record. Which umpire has control over the dismissal of a batsman under laws 30 – 39; which dismissals the bowler receives credit for; is the dismissal possible if a no ball or wide is called; how many runs are accrued and what is the correct method of completing the scoring record? When the ball is in play and is dead and the impacts of this on the scoring record. Byes and leg byes and what is meant by them and the implications that they have on the scoring record. The meaning of a completed innings. Where there are cases of unfair play and how this may result in the award of penalty runs. On completion of the course the participate will have the basic knowledge and confidence to be able to bring their scoring record to a complete balance and have the understanding of why it is important to bring it to a complete close. Level 2 will endeavour the participant to develop their skills and knowledge further. The three key areas to improve on within Level 2 are knowledge, technique and confidence. In order for development throughout Level 2 to be made it is integral that the participant is able to score any cricket match successfully whilst making use of the full box type or linear style scoring methods. Reference within Level 2 will need to be made to Part 3 of Tom Smith’s Cricket Umpiring and Scoring core text. For participants Level 2 requires that scoring at any cricket match can be done successfully whilst making use of the full box type or linear style scoring methods. Delivery counts and identify when the end of the over is finished. Byes, leg byes, no balls, wides and penalty extras and what is meant by them and the implications that they have on the scoring record. How to balance runs achieved throughout the match both on the batting section of the scoring record and on the bowling section. How to balance the deliveries bowled with the deliveries faced. The equation of ‘balls received plus the number of wide deliveries = balls bowled’ will need to be used to balance the scoring record. The differences between the laws relating to cricket, experimental laws and regulations, and the impact and potential restrictions that could effect the entries within the scoring record. A substantial amount of knowledge on the laws relating to scoring in case a question is asked from the batting captain when the umpires are unavailable. Substitutes may be allowed but may not bat, bowl or keep wicket. A player for whom a substitute has acted can still bat, bowl or keep wicket and that an injured batsman may have a runner. There may be provision for new balls and that arrangements are discussed at the pre-match conference. Rolling and sweeping of the pitch may take place and, under certain circumstances, playing time may be used. Those cases of unfair play may result in the award of penalty runs to either side and/or the suspension of a bowler and the entry of such awards/suspensions in the scoring record. On completion of the course the participant will have to gather evidence over the coming season, they will be supported in the field and after the season they will be invited to attend their final assessment. The purpose of this course is to broaden the scorer’s perception of and interest in the art of scoring. It’s offered as a challenge to qualified scorers. The scorer is encouraged to learn the intricacies of lineal scoring, scoring charts, and other aspects of scoring which will enable them to provide a highly informative record of each innings. Scorers successful at this level will have an in-depth knowledge of how to cope with scoring, no matter what scoresheet is presented to them at the start of the match or what information they are asked to provide during or after the game. Box Type – the conventional system dealt with in Level 2 syllabus. Lineal – a line by line record of each over popular with county, club and media scorers and statisticians. Knowledge of the laws and procedures relating to cricket at all levels. The ability to transcribe from box-type scoresheet to lineal and vice-versa. Collection of detailed scoresheet information such as the number of balls received in reaching a 50 and other similar points. Knowledge of the fielding positions at both ends in the score chart. Drawing of batting and bowling charts/roses. Comprehensive knowledge and understanding of all the Laws of Cricket which relate to scoring. Drawing of batting and bowling charts/roses (also known as starburst charts or wagon wheels). Duckworth-Lewis calculations for rain interrupted matches. Knowledge of the names of fielding positions. Follow-on, playing regulations, overs calculations. Power-play which include ICC playing conditions. Scoring is a vital part of the game which is sometimes overlooked but without it, there cannot be a game.